1) Iran faces complete economic collapse and Soviet takeover within as little as three months (a year, maximum). 2) Mossadegh is hopelessly unreasonable, and no oil settlement is possible while he remains in power. 3) He might be tossed out anytime, though the U.S. and Britain don’t currently have the means to do the tossing (implying this would be a desirable pursuit). 4) However, there still might be a chance—the United States must ultimately “choose” the young well-meaning Shah over irrational old Mossadegh! Given the subsequent course of history, culminating in a U.S. sponsored coup favoring the Shah as absolute ruler, Alsop’s statements might not be dismissed as mere premonition. 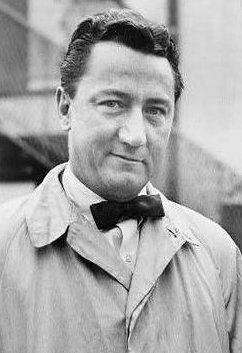 Both Stewart and his older brother, columnist Joseph Alsop, are said to have carried out assignments for the Central Intelligence Agency around this time. In a 1977 report, The CIA and the Media, Pulitzer-winning journalist Carl Bernstein wrote that Stewart Alsop’s role in the CIA was “extensive”, quoting one high-level source who described him bluntly as “a CIA agent”. TEHRAN, Iran – We shall have to be very lucky indeed, in the view of the best men here, if this absolutely vital country is not in Soviet hands before another 12 months are out. No amount of luck will prevent this happening if Anglo-American policy here, as in the past, consists of a blend of wishful thinking and inertia. First, the Anglo-American Oil Company is simply not going to regain its former position here. The power does not exist, either in Iran or outside it, to put the Anglo-Iranian humpty dumpty back on the wall. This does not mean that a settlement which will get Iranian oil flowing in the direction of Britain cannot ultimately be reached. Indeed, if the American government and the American oil concerns stand firm, there will simply be no other direction—except possibly Russia—in which the oil can flow. Yet any sort of reasonable settlement is out of the question as long as the aged Mohammed Mossadegh is prime minister of Iran. Nine months of so-called negotiations should have been enough to drive this point home even to the more wistful spirits in the State Department. The fact might as well be recognized, moreover, that for the present Mossadegh is firmly in the Iranian saddle. Anything can happen in Iran, and it is conceivable that Mossadegh might be hurled into outer darkness tomorrow. Yet both the British and the Americans now lack the means to do the hurling. British support, which was once the essential part of any aspiring politician here, is now almost literally the kiss of death. As for the Americans, able Ambassador Loy Henderson has an attitude of correct aloofness (in sharp contrast to his predecessor, [Henry Grady] who apparently went in heavily for footy-footy with Mossadegh). As a practical matter an American attempt to unseat Mossadegh this late in the day would simply strengthen the Mossadegh regime. Yet this does not mean that the United States is wholly powerless in this situation. Any Iranian government in power in the near future, whether Mossadegh’s or another’s, is going to require an American rescue party of some sort to escape simple financial disintegration. On this point the American and British embassies, in a recent joint paper dispatched to Washington and London, were in agreement. It was also agreed that the moment of economic collapse, expected now in about three months or so, should give the well-organized Communist underground here its supreme opportunity. Mossadegh is counting on precisely this prospect to gain him American support without any oil settlement at all. Mossadegh clearly expects that the American government will begin reaching nervously for the checkbook as soon as the danger of a Communist takeover becomes sufficiently clear and present. Mossadegh is a great deal shrewder than he looks. Yet there is another very important piece of the insane Iranian puzzle which must also be taken into account. This is the power and position of the Shah. The young Shah is a sort of Middle Eastern Hamlet, torn between a desire to emulate his powerful, ferocious father, Reza Shah Pahlevi, and the Swiss bourgeois ideals which he learned in his youth, and which are singularly inappropriate in this singularly unidealistic country. It is no great secret that the Shah is far from happy about Mossadegh, who has more than hinted an intention to limit the Shah’s powers. Yet at least in his own view, the Shah is presently powerless to move against Mossadegh. He may be right in believing that, for the present, to seem to run counter to the wave of hysterical Iranian nationalism, of which Mossadegh is the symbol, would risk his crown and probably his life. Yet the Shah is credited with one unwavering purpose—to preserve his dynasty. He has, moreover, certain real sources of power. The army, for example, is generally loyal to him. It is thus believed that in the final crisis which is visibly approaching here, if his dynasty is clearly threatened with a Communist coup, the Shah should be capable of acting boldly and with decision. The United States, in brief, will almost certainly soon be faced with a nightmarish choice. We must choose between the old man and the young man. Either we can succumb to Mossadegh's technique of blackmail by threatened suicide, reaching for the national checkbook when the danger becomes really acute. Or we can bet, in effect, on the Shah, on the assumption that this well-intentioned young man with a taste in brightly colored socks will act boldly to thwart a Communist bid for power, and that a government with which it will be possible to deal rationally will then ensue. It is not a pleasant choice. But, for reasons which will be examined later, there is really only one way we can choose.